The Great Hall on Echtra (Loki Eliot) The land is stuck in time. There is no summer nor is there any winter. There is just a grey emptiness hanging over the once busy town of Echtra and the surrounding moorland. And what of the legends that tell of a great sleeping dragon under the hill the town is built. Will the secrets of this once thriving community be revealed and if they can be discovered exactly who will awake? There’s lots going on at the Fantasy Faire today as the Faire celebrates the 400th year anniversary of the passing of William Shakespeare with a performance of Midsummer Night’s Dream. An SL star studded cast will be taking to the stage at 1.30pm slt for an abbreviated version of one of the bards most famous works especially created for The Fantasy Faire. I’m excited and delighted to announce my very small part as a fairy. It’s an honour to be taking part in the event. How do I see / hear the Performance? A Midsummer Night’s Dream will be broadcast live on Fantasy Faire Radio, and also on Radio Riel’s Main Stream, to celebrate Shakespeare Day. You can come to the theater space on OtherWorld … but we expect seats will be taken quickly. As you will be able to hear the audio on the Fantasy Faire Radio stream, you can actually watch the performance by camming in from Twilight Illusion. Echtra (on the other side) will have a roleplay in progress and so you are requested NOT to watch from there. If you can’t get on to the region, you can watch the production on AviewTV because they will be streaming it LIVE! 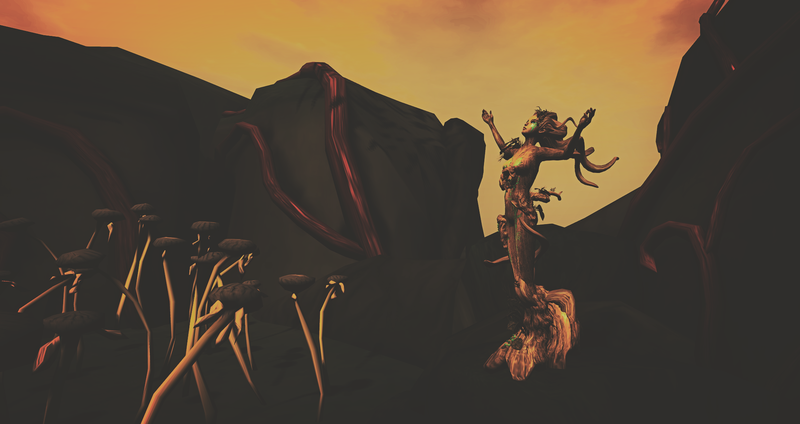 Following immediately after the performance (circa 3.30pm slt) you are invited to take part in the Fae Parade! The parade will be comprised of the company of actors from MidSummer Night’s Dream and will start at Fairelands Juntion and visit every one of the Fantasy Faire regions. Fantasy Faire would like you to take part in the parade too! You’re encouraged to dress up in your favourite fae outfit and await the arrival of the parade on the sim of your choice. There are many sims to choose from and if you haven’t visited them all this is the perfect opportunity to do so. The Golden Delta (Alia Baroque) The Immortal City bathed in gold and turquoise where the river and sands of life draw the passing of time. Lucentia (Marcus Inkpen/Sharni Azalee) There lies a realm in the depth of antiquity- or perhaps its the distant future- where all is energy and light and physical substance has no meaning. A glowy world of shifting lights and undulating energies. A world of magic and emotion and beauty. Where the only danger is losing your mind. OtherWorld by Elicio Ember. There are places beyond the normal realms we see with our waking eyes. They are places of gargantuan trees of life, of gentle waters flowing through glowing caves, of glittering crystal and ancient bronze. They are kingdoms that softly whisper about the eternity we all carry within us. There are lands of song and story, of legend and wisdom, of peace and gentle growth. 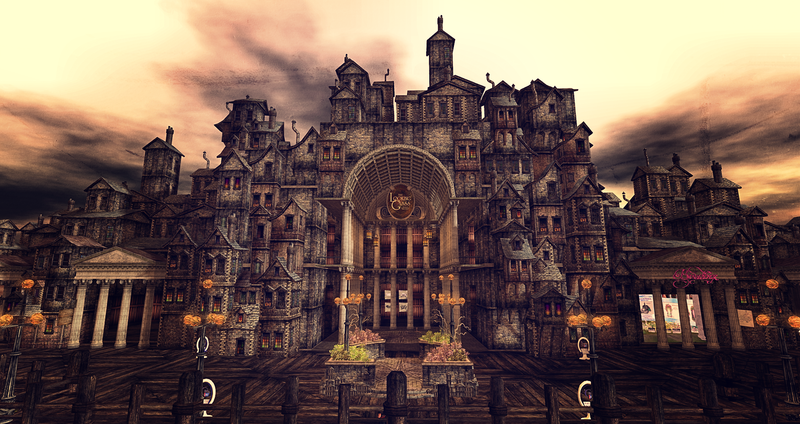 Malfience is the world for The Fairelands Quest: The Tale of Exiles. A very bright and pastel watercolored village that harnesses the wind to turn it into magical energy. A fairytale market town brimming with wonder, happiness and magic. A stroll down the cobble streets might see you breaking out in song accompanied by your woodland friends. The land is stuck in time. There is no summer nor is there any winter. There is just a grey emptiness hanging over the once busy town of Echtra and the surrounding moorland. And what of the legends that tell of a great sleeping dragon under the hill the town is built. Will the secrets of this once thriving community be revealed and if they can be discovered exactly who will awake? The Immortal City bathed in gold and turquoise where the river and sands of life draw the passing of time. There lies a realm in the depth of antiquity- or perhaps its the distant future- where all is energy and light and physical substance has no meaning. A glowy world of shifting lights and undulating energies. A world of magic and emotion and beauty. Where the only danger is losing your mind. They say there are one thousand steps to the top of Serenity, an ancient city, every nook and cranny carved to perfection, smooth curves, beautiful terraces, stunning waterfalls, latticed windows. Built by ageless hands so many moons ago, they also say that those who ascend to the top of the city will discover something more valuable than gold, the knowledge we’re not alone in our fights. If you had the power to create anything you thought, what would you think? And if every thought you thunk took form, where would you store all the stuff? Welcome to Tinkers Hollow. The eclectic trappings of an unsual mind filled with everything from toys and cards to gears and cogs. Who knows what might appear? The Realm of Twilight Illusion is a land divided. 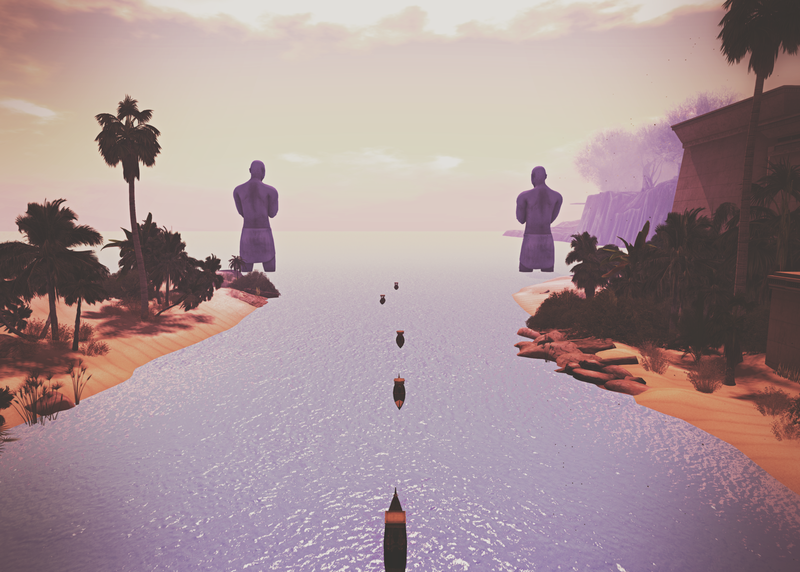 Rising out of a vast lake of lava, small islands pepper the view. Connected by rickety bridges the inhabitants make a life amid the hellish landscape of rotten vegetation, creepy trees, stinky mushrooms, bones, skulls and ravens. As sulfur and brimstone percolate below the breezes of the upper levels remind of sun and dew, welcoming the visitor into a flower filled meadow where worries are replaced with joy under rainbow skies and a picnic of nectar and honeyed cakes has been laid out by unseen hands.